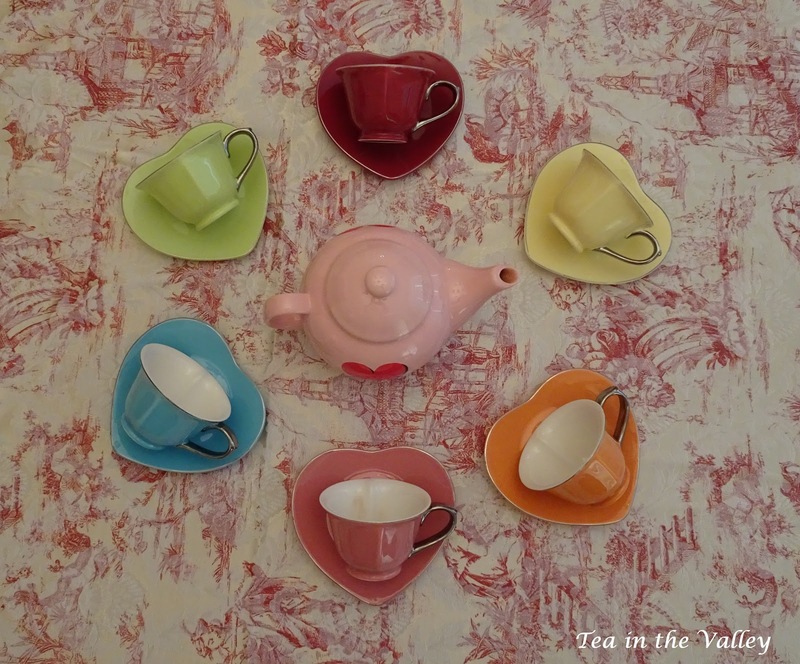 These colourful teawares fill my heart with joy. T by Daniel's Love Note black tea is always a hit with family and friends who love the delicious strawberry and peach flavour. An early Valentine card from my mom. Love the pretty red and white transferwares! 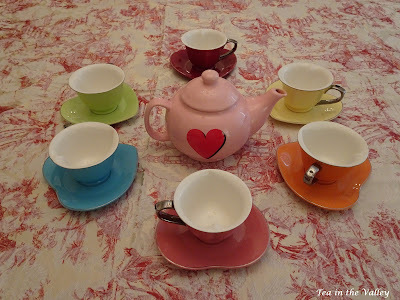 I love that darling teapot and those pretty teacups, Margie. 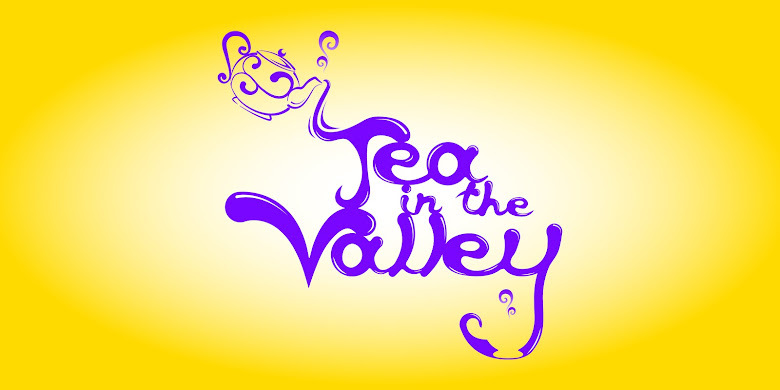 The tea flavor sounds wonderful and perfect for Valentine's Day. Your mom's card is so thoughtful! Happy Valentine's week to you. I hope you have a fun tea social planned at work. I must get out my heart shaped teacups, almost forgot about them. We don’t cekebrate Valentines Day, used to when I taught school, miss thise days. What a pretty table set with sweet tea ware and that lovely red toile tablecloth! Your tea sounds lovely and the card from your mom is gorgeous! Happy Valentines Day, Margie! 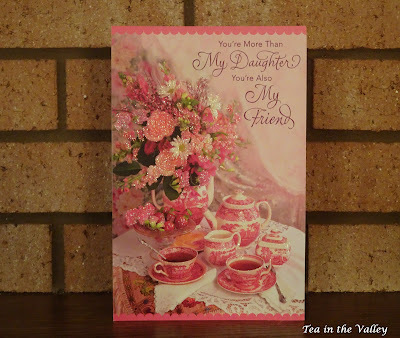 Gorgeous teaset and pretty tablecloth.I also love the beautiful card from your Mother,so sweet!Hugs! Hello, Margie! What a lovely card from your mom. I'm making a special dinner for my husband tonight since he's at a late meeting tomorrow night. There will likely be chocolate something for dessert! Today I'm looking after 2 grandchildren on our third snow day - unprecedented! Their parents need to get back to work. I mixed up some sugar cookie dough last night and we'll bake and decorate the cookies this morning. Sweet as can be, Margie. Happy Valentine's Day, my friend. Margie, I always love the photos of your teaware. 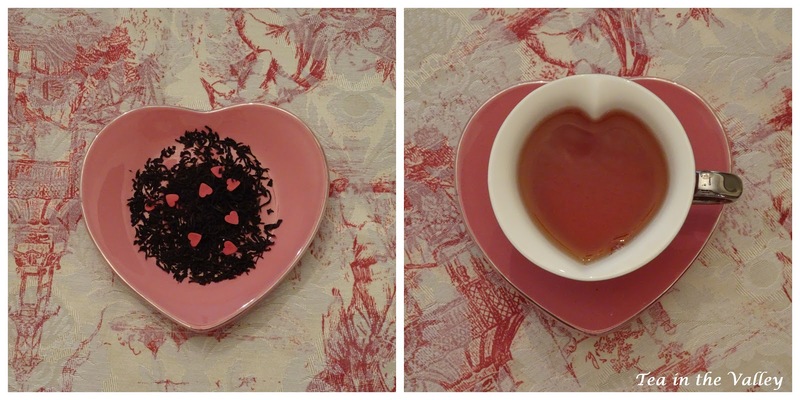 I've never seen a heart-shaped teacup like that. Have a wonderful day!